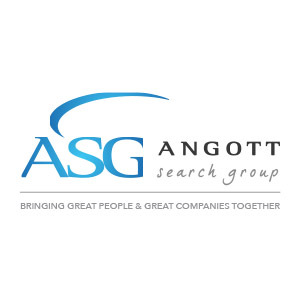 Angott Search Group has partnered with a thriving credit union in their search for a Senior VP of Human Resources. This person will provide operational and strategic leadership to the human resources team. The Senior VP of Human Resources ensures effective talent acquisition, retention, and performance management; has budgetary responsibility for both short term and long term workforce plans and related systems investments; and develops and executes long term strategic plans for positive employee relations and effective talent management for the Credit Union. Lead organization change through strategic human resource planning and implementation in alignment with the corporate strategic plan. Responsible for the delivery of human resource services to the organization. Coach credit union leaders in effective human capital management skills and guide them in their human capital management strategy and organizational design. Oversee, influence, and lead strategic learning and development initiatives across the organization, focusing heavily on remote learning and delivery of a consistent and superior learning experience that is tied to the organizations goals, vision, and mission. As a member of the strategic planning team, provide input and feedback on the planning and implementation of strategic initiatives of other functional areas of the Credit Union. Ensure the Credit Union’s compliance with all federal and state employment laws/regulations. Develop direct reports to ensure career planning, professional development, and succession planning. Bachelor’s degree in Human Resources or related field OR two years of related work experience required. SPHR or SHRM-SCP certification preferred. Minimum ten years’ experience in human resources management. At least five years’ direct management experience in a human resources department required. Working knowledge and operational experience with HR data management, payroll systems, and experience in vendor selection and system implementation required. Professional and confidentiality traits critical. Ability to perform effectively within a team-based environment. Well-developed ability to identify and match candidates’ personal characteristics with job requirements and organizational culture. Business acumen, preferably within the financial services industry.